20 March 2012, Keelung, Taiwan – Lian-Li Industrial Co. Ltd, the award-winning aluminum computer chassis manufacturer, today announces the automobile-esque PC-Q15. With its space-saving design, the PC-Q15 is an ideal data storage center for the numerous hi-tech mobile devices of the modern mobile consumer. Supporting mini-ITX motherboards, the PC-Q15 with its the rectangular shape and wheel-like stubs resembles a miniature SUV. Not only does this chassis stand out in any environment, but the compact dimensions of (WxHxD) 210mm x 216mm x 330mm (8.27” x 8.50” x 12.99”) allows the PC-Q15 to serve as the home central hub for the modern mobile user in any nook or cranny. 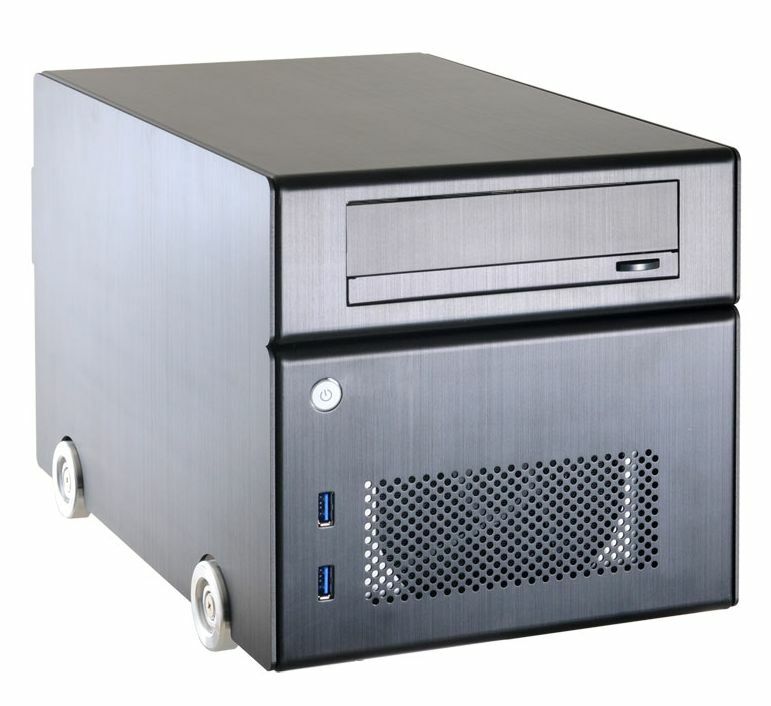 With optical drive support and multiple HDD/SSD drive bays, the PC-Q15 gives users numerous options for data storage. The forward facing 5.25” drive bay is at the top on the chassis with the 3.5” and 2.5” drive bays hanging below it. The hot-swappable 3.5” HDD is aided by perfectly sized rubber strips that are effortlessly attach to the side of your 3.5” drive, allowing you to easily take your HDD in and out. Hanging below the 3.5” drive, the 2.5” drive bay holds three 2.5” HDDs/SSDs and can be adjusted to face the front or side. Adding to the PC-Q15's unique design, the motherboard plate lays flat against the bottom of the chassis. A prerouted cable simplifies connections between the motherboard and the the two USB 3.0 ports on the front panel. Keeping your system at optimum running temperatures, the included 120mm fan with Lian Li's signature removable washable filter blows cool air directly across the motherboard and 2.5” SSDs. Making the most out of every available space, the compact PC-Q15 supports VGA cards up to 250mm (9.84”) in length and CPU coolers with a height of up to 90mm (3.54”). The included 300W power supply with 80-Plus efficiency sits at the top rear of the chassis providing power to your components. Wheel-like stubs with rubber strips not only keep the this chassis elevated, but also reduces vibrations to a minimum. As to be expected from Lian Li, the PC-Q15 is completely constructed from aluminum, and features pop-off panels for easy access to your system. The Lian Li PC-Q15 is available in silver and back for the suggested retail price of US$179 / €179. 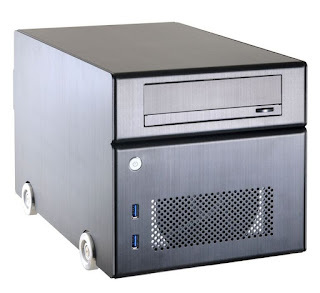 Lian Li Industrial Co. Ltd is an Aluminum Chassis and Chassis peripheral manufacturer and provider of industrial wholesale as well as OEM & ODM services for the PC industry as required. With over 20 years of service excellence, ISO 9001 certification and a team of professional staff willing to do the utmost to deliver durable, superior quality products, all backed by a *2 year guarantee; your satisfaction is guaranteed (*conditions apply). To learn more about Lian Li, please visit their websites at www.Lian-Li.com.